Rumors are swirling that VW is looking to axe a bunch of its models around the world in an effort to save cash in the post diesel recall world. Two of the cars that are rather iconic VW models that are rumored to get discontinued include the iconic Beetle and the Scirocco. The Scirocco is only available in Europe. The Beetle specifically tipped to be discontinued is the hardtop version. The convertible is said to sell well in Europe and is expected to carry on. These rumors come from a VW board member called Arno Antilitz. He stated in part that VW isn’t always about continuing cars one generation to the next. VW has promised to bring 30 new electric models to market by 2025 and speculation suggests that the current Beetle might be axed with a return later possibly in electric form. 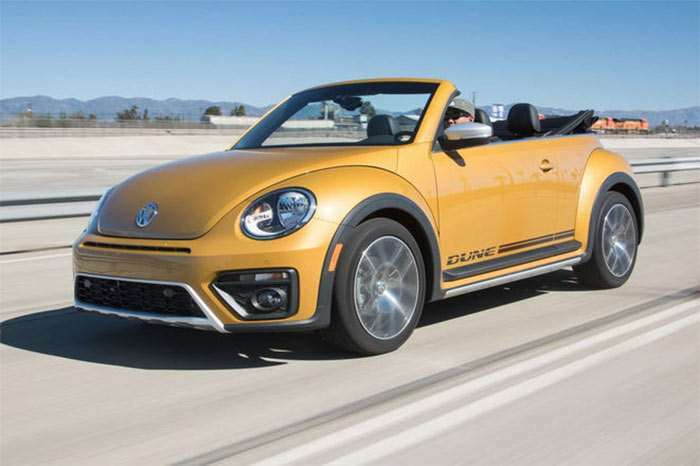 It will be strange to see the convertible Beetle carry-on and the hardtop get discontinued. These rumors aren’t confirmed for now.